I recently got a new device (infinix hot x507 to be precise) and I uninstalled the preinstalled whatsapp with the intention of installing the whatsapp+ plus, but I was surprised when I got the conflicting signature error message even after uninstalling the original whatsapp. Though it took me a lot of time but I finally figured out and I will be sharing with you two detailed procedures on how to go about it. ==> your rooted device. Root your device here. ==> Whatsapp plus. Download HERE. ==> Your file explorer. (I will be using root explorer). download here. ==> And of course your brain. ==> Install and launch root explorer. ==> go to the root directory. On root explorer just click on option and select home. ==> Navigate to system >>vendor >>operator >>app. 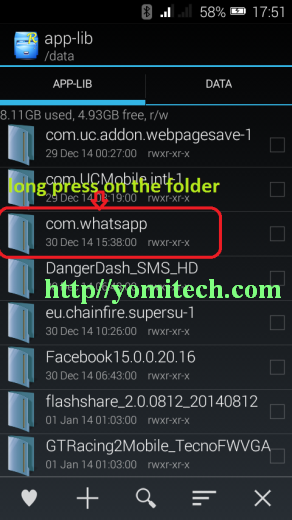 ==> open the folder and delete the whatsapp app. ==> Now just restart your device. 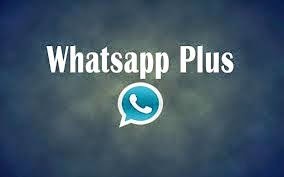 ==> You can now go ahead and install your whatsapp plus. ==> Just your brain is needed here. ==> Go to settings and click on app. 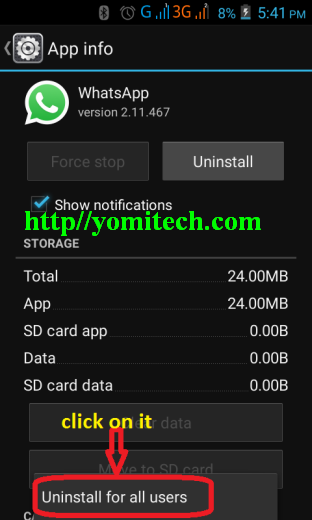 ==> uninstall the whatsapp application if you haven’t done that before. ==> Now scroll down to the bottom of your app list and you will see the whatsapp. With the word “not installed” written in front of it. ==> Click on the app, click option and select uninstall for all users. If none of the two methods above works for you, just drop your complain in the comment box. I guess you tried downloading with uc browser. after installation of the latest 1.43 version ,it shows app unfortunately stopped ,when opened.... plz help me out... i have nexus 5rooted.. thanks. the app crashes a lot ... bugs need to be fixed..
Yeah.. I also noticed it. Bro my g tablet p7073 tab doesnt allow deleting the watsapp from root saying its a read only file.wat should I do?